Whether you want to redecorate your room or your whole house – you don’t have to break the bank to do it. With a little leg work, you can salvage, recycle and build almost anything you need to fill any room for pennies on the dollar – or in some cases – for free! 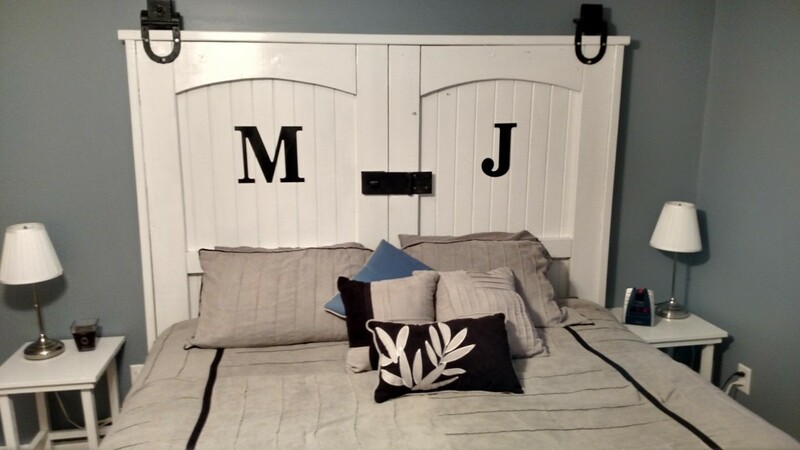 No matter if its building with pallet wood, recycled lumber or a repurposing a salvaged item found at the curb or a garage sale – the sky is the limit for what you can create to fill your home with a custom vintage look. Over the past four years – we have built and created over 50 items from recycled materials that have helped to decorate and fill our home and farm for a fraction of what new would cost. Not only saving us big money – but saving the items from ending up in the landfill. 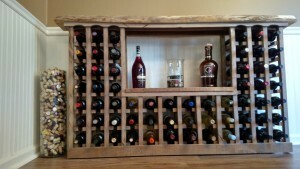 Our wine rack created for free from old barn and pallet wood. The re-use and re-purposing of materials has become not just a way to live more responsibly while cutting costs, but evolved into a hobby and a form of art for us. It also gives the added benefit of creating our own history and stories that accompany the things found in our home. 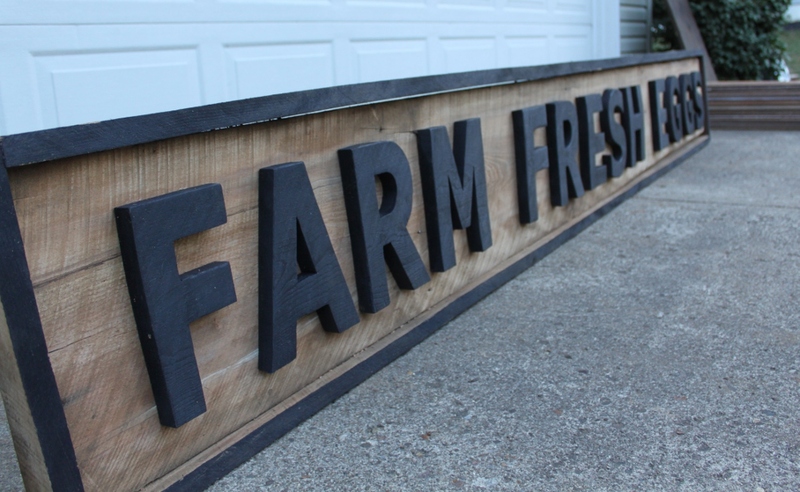 For today’s DIY post, we thought we would share some of the secrets we use when creating our custom pieces for the house and farm – along with some of the finished projects. Have an idea in mind for what you need when you’re out looking. Don’t become one of those…oh..that’s neat – ill use it someday people. That can really contradict the living simple theory. “I’ll use it someday” is a term I have found to end up somewhere between a garage you can’t park in and a barn full of junk. We never want to be there…ever! So when looking at something that has crossed your path – really have an idea in mind for what you can use it for – or don’t bring it home. You don’t have to use things for their intended purpose. Sure, it’s great to be able to find a dresser to refurbish for the same purpose – but when you think outside the box – unique and inspired pieces happen! 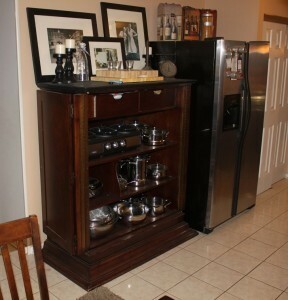 Our kitchen pot and pan cabinet had its first life as the top of a bedroom armoire. The bottom was destroyed in a move and the top was thrown out to the curb. 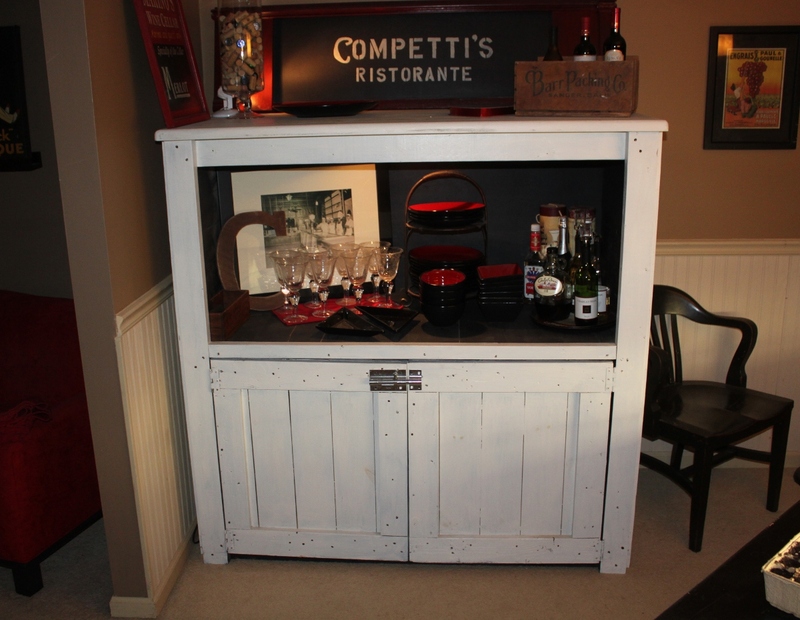 We snatched it up – flipped it over, and then created a new top from a recycled piece of plywood. 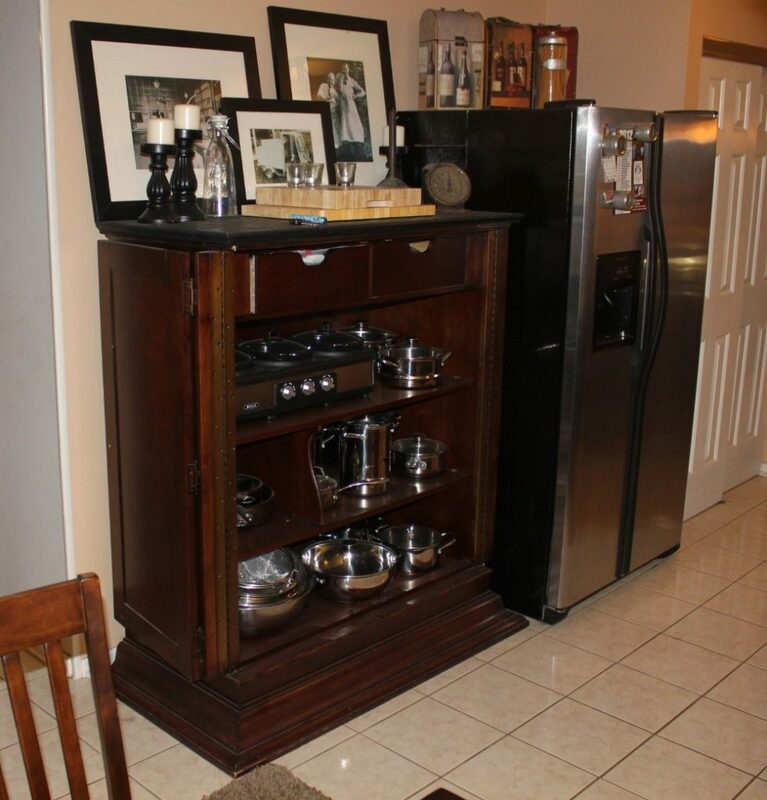 It now is one of the signature pieces in the kitchen – and it was completely free! We find the easiest way to look outside the box is to take the last two points and put them together. If you already have an idea in mind what you need – you can look at materials that are not normally used – and find a way to make them fill the need in a unique way. 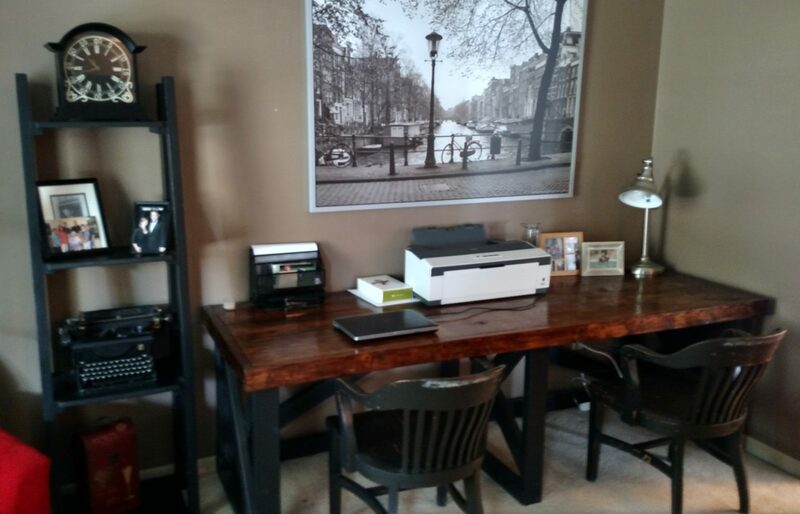 With that said – here is a sampling of some of our DIY Home Salvage Projects that we have created over the last four years to help furnish our home and farm. You can see all of our projects on the video slide show, and we also have them featured below at the end of the post. We hope you enjoy and good luck with your own recycling and salvage projects! If you would like to receive our Gardening, DIY and Recipe updates each week – be sure to sign up to follow the blog via email in the right hand column, “like” us on Facebook, or follow us on Twitter. ← Pumpkin Donut Recipe – Using Only 3 Ingredients!!! !